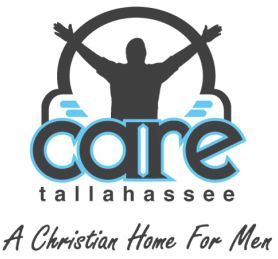 CARE Tallahassee was founded in 2005 with the realization of the need for men to have a place to go to after being released from prison to continue their spiritual journey with God. Since opening, we have seen over 700 men come through our program with a very high success rate. Our mission is to see men transform from being a self-centered man to being one who is Christ-Centered! We pray over each application received asking God to send who He wants to the CARE program. Our program is structured to assist the men coming from prison to focus on their walk with Christ and successfully transition back into society. Each resident is given the opportunity to either pay our monthly program fees or participate in our volunteer program by working in our ministry. This is to help teach structure, responsibility, work ethic, and accountability. We have daily morning devotions, and nightly services to help the men stay focused and strengthen their relationship with our Lord and Savior Jesus Christ. We emphasize to the men at CARE, that whatever they do in the program, always do it to praise and glorify Him! After all, this is His ministry! ​In June, 2014, our community building caught fire. Through much prayer and God's blessings, we are finished with the rebuild project and hosted an Open House on November 19 celebrating God's blessings and provisions throughout the rebuilding process. God has touched so many hearts of those who were a major part in donating their time, money, and most of all their prayers! Just when it seems to us as Christians that there is no end, or we begin to become frustrated...God says "Trust in Me..."! When we begin to trust Him 100% to carry us through, He provides us nothing short of what is truly amazing! Please feel free to fill out our program agreement if you are interested in entering the CARE Tallahassee program. This is the first step to be considered for acceptance. We generally stay pretty full, but we pray about each applicant, and believe that God brings who He wants to the ministry. We have been very blessed by putting our faith in HIM in every aspect of the ministry, including the application process! We ask that you read every section carefully, so are able to understand the rules that are set in place.